After a successful Week 12, the favorites on the NFL betting lines took a step back again in Week 13 of the season. The favorites stumbled to an 8-8 record straight up, and an even worse 6-10 mark against the spread. Meanwhile, NFL Week 14 gambling begins Thursday night with the Tennessee Titans hosting the Jacksonville Jaguars as a 4.5-point favorite. Tennessee has lost three straight ATS, but at home they’re 5-1 SU and 4-2 ATS in their last six. In Week 3, Tennessee edged Jacksonville 9-6 as a 10-point underdog. The Jaguars snapped a seven-game losing streak last week during which they were 1-5-2 ATS. Against Tennessee, the Jaguars are 1-5 SU and 1-4-1 ATS in their last six. Coming off a shocking upset last week, the New Orleans Saints are 8-point road favorites versus the Tampa Bay Buccaneers. In Week 1, the Buccaneers upset the Saints 48-40 as a 10-point underdog. The Saints are 6-1 ATS in their last seven road games. However, they are 1-4 ATS in their last five in Tampa Bay. The Buccaneers have won four straight ATS as a home underdog. Furthermore, they’re 6-3 ATS in their last nine versus New Orleans. In the AFC South, the Houston Texans could all but lock up first place in the division when they face the Indianapolis Colts as 5-point home chalk. The Texans have won nine straight at 6-3 ATS. Also, in Week 4 they defeated the Colts 37-34 as a 1-point road favorite. The Colts are 3-12 SU and 6-9 ATS in their last 15 road games, but they’re 4-1 SU and 4-0-1 ATS in their last five in Houston. The Kansas City Chiefs are a 7-point home favorite this week against the Baltimore Ravens. The Chiefs are 5-1 SU in their last six, but only 2-3-1 ATS. Despite their strong offense they are a surprising 9-1 on the UNDER in their last 10 home games. The Ravens are 4-1 SU and 3-2 ATS in their last five versus the Chiefs. Meanwhile, in Kansas City they’ve won three straight at 2-1 ATS. An NFC East matchup that could decide the division lead sees the Dallas Cowboys host the Philadelphia Eagles as 3.5-point chalk on the NFL gambling odds. Dallas has won four straight SU and ATS and they’re 6-2 ATS in their last eight. Dallas defeated Philadelphia 27-20 as a 7.5-point underdog in Week 10. The Eagles are 3-8 ATS in their last 11 games and in their last five games in Dallas they’re 4-1 SU and 3-2 ATS. On Sunday night, the Los Angeles Rams are 3-point road favorites versus the Chicago Bears. The Rams are 11-1 SU and 5-5-2 ATS in their last 12. Against Chicago they’re 1-5 SU in their last six and 2-6 ATS in their last eight. The Bears are 6-1 SU and ATS in their last seven at home, and as a home underdog, they’re 9-2-1 ATS in their last 12. 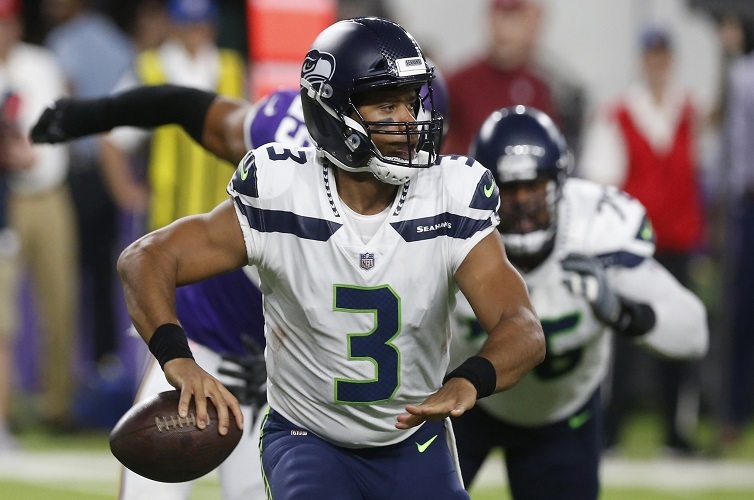 The NFL Week 14 odds concludes on Monday night with the Seattle Seahawks hosting the Minnesota Vikings as a 3.5-point favorite. The Seahawks have won three straight at 2-0-1 ATS and they’re 6-1-1 ATS in their last eight. The Vikings have lost three straight SU and ATS as the underdog, and against Seattle they’ve dropped four straight at 1-3 ATS.